If one could mine stupidity like gold then the Internet would make 19th century Klondike look like Hull on a wet Wednesday, but a few precious rocks of pure stupidium would shine still amongst the everyday nuggets of people who can fix the world’s problems yet have trouble with the complex differences between “their”, “there” and “they’re”. One such gem was discovered this week in a Bruce Anderson article for CapX. The article argues that socialism is evil and that only a society based on market forces can work. Actually, it doesn’t argue that at all; it certainly says that, over and over, and has a big picture of Margaret Thatcher, but as it fails to advance any evidence to support this and doesn’t consider any of the possible counter-examples it can hardly be said to argue it. But revolutionary socialism is a battle to transform human nature. It seeks to remove the protection of civil society, personal freedom and the rule of law – all of which serve to insulate man from his worst instincts and attributes. Socialism denies original sin, and in so doing proves that it is still a crucial insight into the human condition. Given the last sentence of that one would reasonably expect Mr Anderson to devote a paragraph or two to explaining what he’s talking about, but in fact he moves smoothly on to quoting Wordsworth and explaining that his argument isn’t theoretical, leaving his readers to wonder why it suddenly became theological. 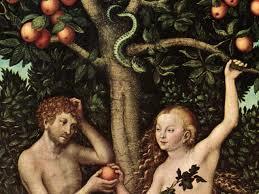 In case you’re not au fait with the concept of original sin it all began with Adam and Eve in the garden of Eden. We’re all familiar with the basics of the story; God tells Adam and Eve not to eat the fruit that will give them knowledge of good and evil, but the serpent talks Eve into having a nibble and giving some to Adam. God, worried that his creation has taken the first step towards godhood and will go on to eat the fruit that gives them eternal life, curses the legs off the snake, sentences Eve to terrible pain in childbirth, Adam to having to toil in the fields for his food and then makes them a set of clothes and kicks them out of paradise. The story was originally part of the Jewish creation tale – the book of Genesis, where it appears, and the following 4 books of the Old Testament form the Torah, which pre-dates Christianity by centuries – and to them it was both explanatory and cautionary. It explained why the world was imperfect and why life was hard, because they’d been expelled from paradise, and it provided a salutary lesson not to disobey God, because he can really carry a grudge. To what then is Mr Anderson referring when he says that “Socialism denies original sin”? As the original sin, which is never referred to as a sin in Genesis, was defying God’s will then the plain reading of his statement is that to engage in wealth redistribution is to attempt to thwart God’s decision about who should be rich and who should be poor. This is a view that sits poorly with modern sensibilities, and when I say “modern” I mean “post-feudalism”. While it is the view that, in a milder form, is inherent in support for a hereditary monarchy it is hard to reconcile with, say, effective medical practice. If God chooses who rules and who is wealthy then why thwart his will about who lives and who dies? The truth is that in the UK we’re surrounded by socialist institutions that are world-class (the BBC, say), that we’re fiercely proud of (our public libraries, for example) or both (such as the NHS). Some socialised forces are so entrenched that we struggle to imagine how they’d work in the hands of market forces; the country is no longer protected by local lords raising their own army and hiring it to the king, the whole criminal justice system, from police to prison, works without having to swipe your credit card en route. The view that redistributing money to those who need it is them literally taking something which isn’t theirs to have is repugnant. There is however an alternative reading for which I have to return to a question I conveniently skipped in the previous section…why Christians created the doctrine of original sin. 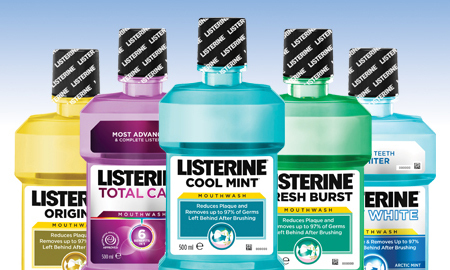 Listerine was the first over-the-counter mouthwash and by the 1920s, after 30-odd years of being on sale, it generated income of around $115,000 dollars annually. A tidy sum for the day, but hardly a product to set the world alight. Then, in a move widely regarded as marketing genius, the company took the term ‘chronic halitosis’ – obscure medical jargon for bad breath – and told the world they suffered from it, and that Listerine was the only cure. In less than a decade annual sales were up to $8 million as people flocked to buy the solution to a problem they hadn’t known they had a few years earlier. A corporate turn around to warm the coldest of capitalist hearts, for sure, but the early Christian church beat them to it by more than 17 centuries. Unlike the Judaic religion from which it sprang the Christian church was an organisation with a product to sell. It had strongly defined concepts of heaven and hell. The dogma of life everlasting was at its very core, its number one product. Critically original sin meant that the intercession of the church was necessary. One couldn’t simply live a blameless and sin-free life outside of the church, the weight of original sin would drag you down to hell. Original sin was Christianity’s chronic halitosis, which is appropriate because it stinks. Imagine the thousands of mothers across two millennia who must have believed that their infant child would never gain eternal life because they’d died before they could be baptised. It centred the church entirely around guilt, making it the foundation of their rituals; confessing of sins, real or imagined, last rites, the Pope selling indulgences, literally passes into heaven, to those who worried their worldly wealth might be a barrier to salvation. Original sin also served as a constant reminder that the fall was Eve’s fault. Adam’s sin wasn’t so much the eating of the fruit, but rather taking advice from a woman, so it’s hardly surprising that Christianity has dragged centuries behind the rest of the world in gender equality. Irrespective of this collateral damage the marketing move worked. Christianity has grown from a small Jewish sect to a major religion with billions of followers worldwide. The lesson to take away is the market forces work brilliantly when solving problems that we don’t have. If your car isn’t fast enough, your TV is big enough or your smart-phone isn’t as good as the competitor model then market forces will rush to your aid. Socialism instead focuses on solving the problems that are real, because there are enough of them without imaging new ones. If socialism denies original sin then it does so because that is exactly the right response to a problem that isn’t real, and that’s the crucial insight into the human condition. Thought it’s not, I feel, what Mr Anderson intended to say. ← Allah, allah, allah, what’s all this then?